Despite massive growing resistance, the FCC just voted to advance rules that could slow down and censor the Internet by allowing ISPs to discriminate when they deliver content. Everyone needs to take action right now. Don't let Comcast and AT&T control the future of the Internet. "Dear FCC, we need real net neutrality. Protect internet users from monopolistic ISPs and don't let companies censor, slow down, or block websites while requiring other sites to pay for faster service. 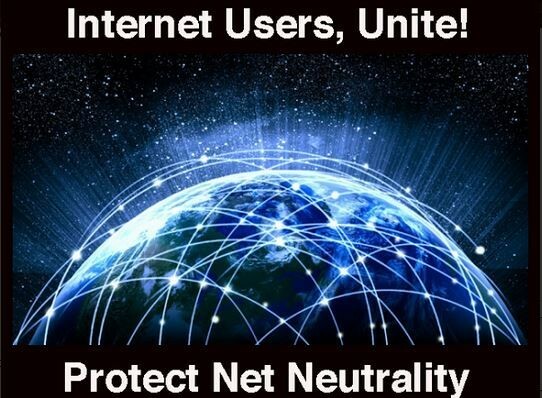 Please stand up for all Internet users and our right to communicate." December 6, 2017 | For well over twelve years EvergreeneDigest has been a proud, bright light on a strand of thousands of such lights of independent media outlets. We were founded on the principle that big, corporate, mainstream media had excluded information and perspectives from the present day American conversation. Further, we believed that the Internet and its fundamental principle of net neutrality made it possible for us to loosen the grip of big media by taking the news into our own hands. We readers-turned-journalists could then restore integrity to the nation's single most vital conduit for democratic participation, our media. 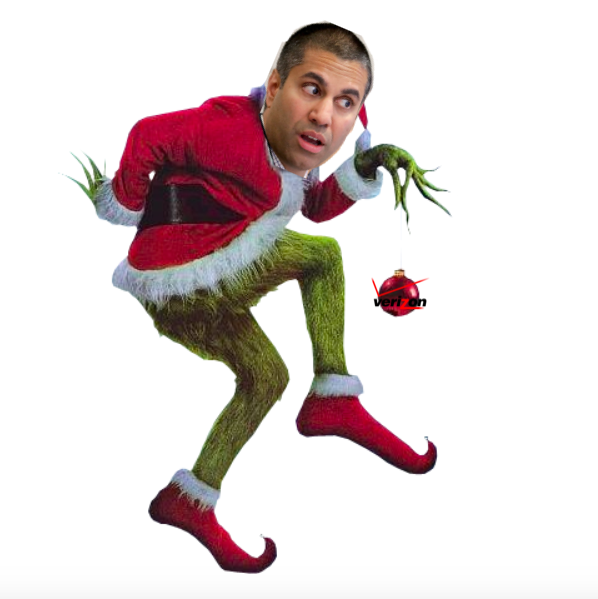 Now the FCC has announced plans to destroy net neutrality, the very foundation of an internet-based independent media, before Christmas. Working together we must stop them from doing this and here's how. Here a list of seven things you can do right now to save the Internet, by Mary Alice Crim, Free Press. We urge you, all of you, to please just do at least one of these between now and December 14, the day the FCC meets to destroy the Internet and, with it, independent media and outlets such as Evergreene Digest. Fighting for net neutrality is not a fool's errand, a waste of time and effort. The FCC's net neutrality repeal has sparked backlash. “People from across the political spectrum are coming out of the woodwork to engage in this issue, and the real question now is if Congress is listening,” said Evan Greer, the campaign director for the pro-net neutrality group Fight for the Future said. If it seems like this battle has seemingly gone on forever, it has. Almost from the creation of the Internet, the big telecommunications companies (AT&T, Verizon, Comcast/Xfinity, Time Warner, etc.) have wanted to increase their profits by destroying net neutrality - the democratic, inclusive principle that says everyone is equal to the same level of access to the internet at the same price. The greedy telecoms don't see it that way. They want to create superhighways of data flow for their egalitarian, privileged corporate friends and other members of the 1%, forcing the rest of us to the slower, narrower back roads - if we can get access at all. We thought we had the battle won in the waning days of the Obama administration. However, the FCC, under the chairmanship of Trump appointee Ajit Pai, a Republican, has rejoined the battle for net neutrality. The battle over net neutrality is as hot as ever. Much has been published about this issue in the pages of Evergreen Digest, principally in our Media, Government, and Activism sections. Learn more about it by searching terms like "Net Neutrality" and "Ajit Pai" in our search box. Stay up to date by frequently visiting us and the websites of the two organizations leading the fight: Free Press and Fight for the Future. Ultimately it's up to you. If you want to be fed propaganda, corporate and other special interest lies, and kept in the dark about much of what's happening in the world, do nothing. If you want a vibrant, inclusive, honest media, you know what you have to do. Make the choice that's best for you. People from across the political spectrum are coming out of the woodwork to engage in this issue. Part 2: Help Minnesota protect consumers from private data grabs by internet and telecom giants. Weigh in against possible FCC action that would hinder the Legislature in this area. Part 1: The FCC sabotaged its own public comments process. Pai’s distortion of the facts here can only be described as Orwellian. He’s citing free speech as his reason for gutting free speech protections.